16 individual pieces of american quilting cotton and silk dupion have been cut and folded into pointed petals and assembled into this beautiful flower. 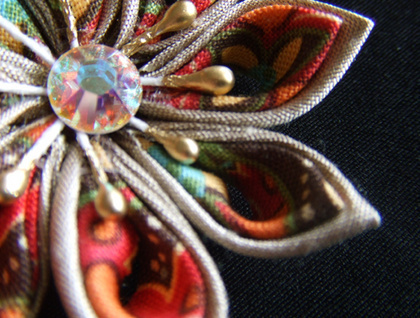 8 golden stamens and one large swarovski crystal finish of the detailing of this exquisite signature brooch. 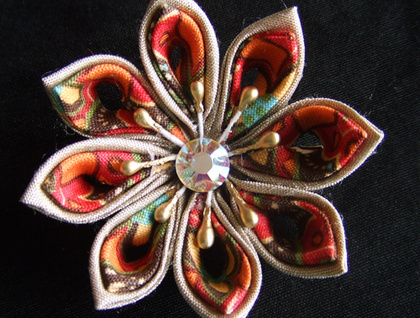 Kanzashi are Japanese flowers created by folding small squares of material into petals and then gluing them together. 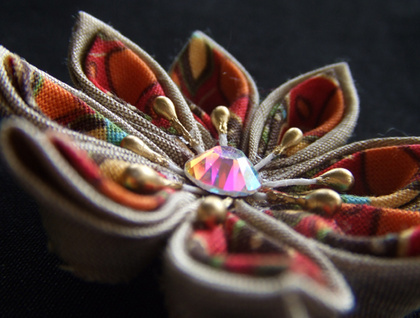 Kanzashi actually refers to the hair adornments worn by traditional Japanese women. 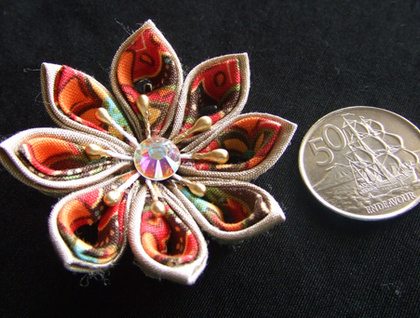 Hana translates to flower and tsumami means, the art of pinching fabric to make these flowers. All my items are crafted in a smoke free pet free home and shipped from Auckland, New Zealand.